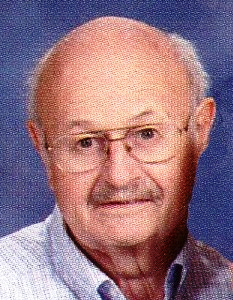 Joseph A. Jacke, 86, of Washington passed away at 7:16 pm Monday, Jan. 21, 2019 at OSF Richard L. Owens Hospice Home in Peoria. He was born March 16, 1932 in Escanaba, MI to Joseph and Bella Chenier Jacke. He married Mary Rogers in Perkins, MI on June 6, 1959. She survives. Also surviving are four daughters, Anne (Charlie) Routh of Sparland, Barbara (Greg) Baxter of Washington, Susan Hatch of Durham, N.C., Patricia (Brett) Brown of Washington; four grandchildren, Michael (Samantha) Routh, Brandon Brown, Bryan Brown, Adam Hatch; brother, Robert Jacke of Escanaba, MI; and sister, Mary Schwab of Ogden, UT. He was preceded in death by his parents; and infant daughter, Kathrine. Joe was educated at St. Joseph High School, Escanaba, MI, Michigan Technology University, Houghton, MI, the University of Minnesota, St. Paul, MN, and attended several Engineering Seminars and short courses at Bradley University. He was employed at St. Francis Hospital in Escanaba, MI, Illinois Central College, East Peoria, St. Francis Medical Center, Peoria, and OSF Corporate Engineering, Peoria. He retired from OSF Corporate in 1994. He was a member of St. Patrick Church in Washington. He was a member of Knights of Columbus, International Association of Electrical Inspectors, and held an Electrical Contractors License for the state of Michigan and the City of Peoria. He held memberships in the National A.I.P.E. and A.S.H.E. organizations and was President of the local chapters. Joe enjoyed traveling and had the opportunity to visit 48 of the 50 states, including Alaska. He was also able to visit relatives in Germany. In lieu of flowers memorials may be made to St. Jude or American Cancer Society. Cremation rites have been accorded. Memorial Mass will be held at 2pm Monday, Jan. 28, 2019 at Resurrection Mausoleum in Peoria with Fr. John Steffen officiating. Deiters Funeral Home and Crematory in Washington are in charge of arrangements.